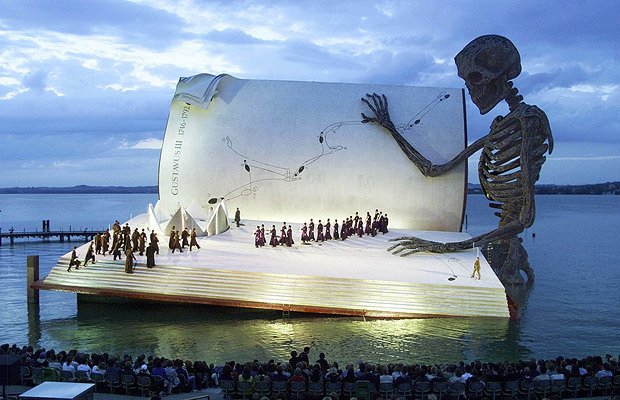 A floating stage, resembled a giant book on Lake Constance in Bregenz, Austria can be considered as the biggest book on earth. However, the giant book of Lake Constance can only be seen during Quantum of Solace festival each year. The festival has become renowned for its unconventional staging of shows. The example of its strange opera show was Verdi’ s opera “A Masked Ball” in 1999 featured a giant book being read by a skeleton. Thanks to Telegraph UK for helping us photo-snap this giant book. wow that book looks amazing, i think they worked hard to make it.